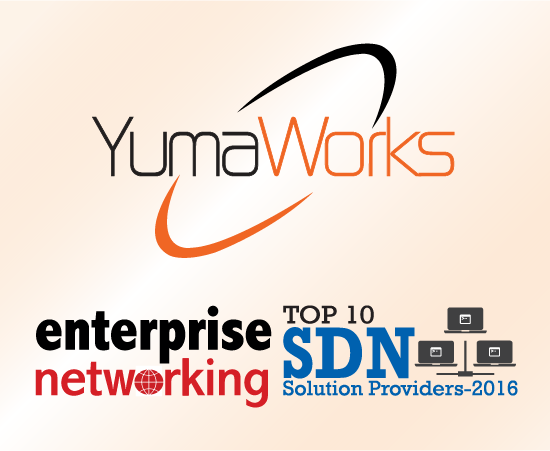 FREMONT, CA—We are pleased to announce that YumaWorks, has been shortlisted for Top 10 SDN Solution Providers 2016 by Enterprise Networking. Enterprise Networking selected YumaWorks as one of the Top 10 SDN Solution Providers of 2016 based on the company’s specialties in Automation, Configuration Management, open-source, training, support, development, NETCONF and YANG. NETCONF, HTTP/REST, and CLI protocols are derived from the same YANG data models to provide a consistent and protocol-independent programmatic API, an absolute must for SDN. In addition to their expertise in leveraging the power of the NETCONF and RESTCONF protocols and YANG data modeling language, YumaWorks has been awarded an SBIR grant to research and develop network management protocols and development tools for use in MANET and DTN environments, where resources are at a premium, highlighting the potential for YANG defined protocols to change the way people and devices deal with real world problems. Enterprise Networking editors, with input from industry analysts, corporate executives and technology experts, selected the top providers of SDN solutions. Headquartered in CA, U.S., YumaWorks is a fast-growing SDN startup developing network management and control plane automation tools, used by the world’s leading networking companies. YumaPro SDK is a multi-protocol distributed server toolkit that uses YANG data-driven tools to automate configuration and network management interfaces. Published from Fremont, California, Enterprise Networking is a print magazine that talks about enterprise solutions that can redefine the business goals of tomorrow.